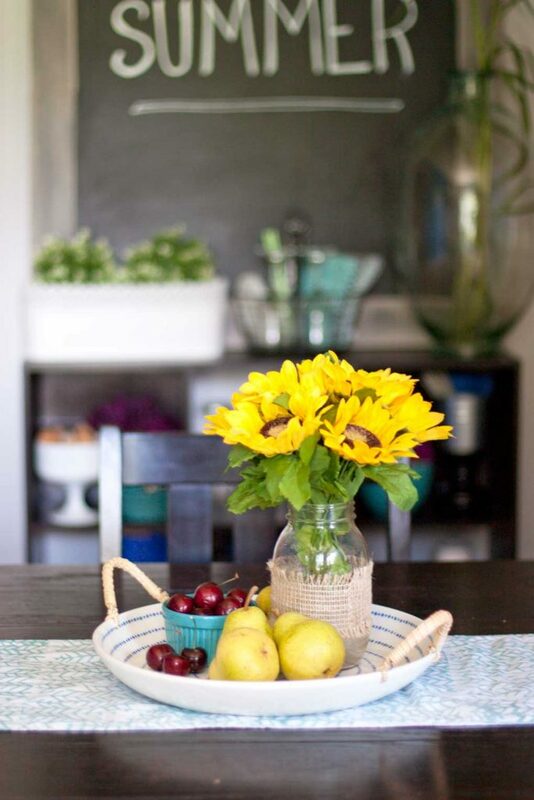 My absolute favorite way to add beauty to our eating space is by creating a diy centerpiece. They are not only quick to assemble, but can also be created for little (if any!) money. 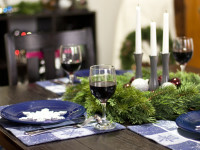 Do you decorate your dining table? We sit at our table often, so I think it’s well worth a little effort to make it pretty. It’s little touches like a simple diy centerpiece that help me love my space. 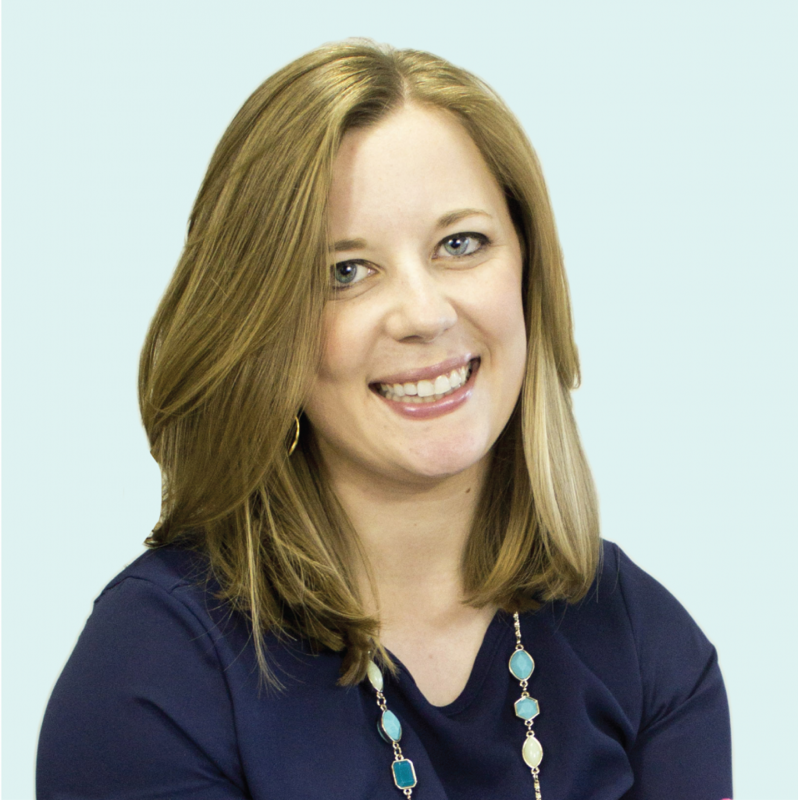 My friend Kathryn recently wrote a new book, Love Your Space, and one of her tips for creating a space you love is to place a centerpiece on your dining or kitchen table. She gives three ideas of how you can create a centerpiece, and I chose the vignette option for the diy centerpiece in our dining room. 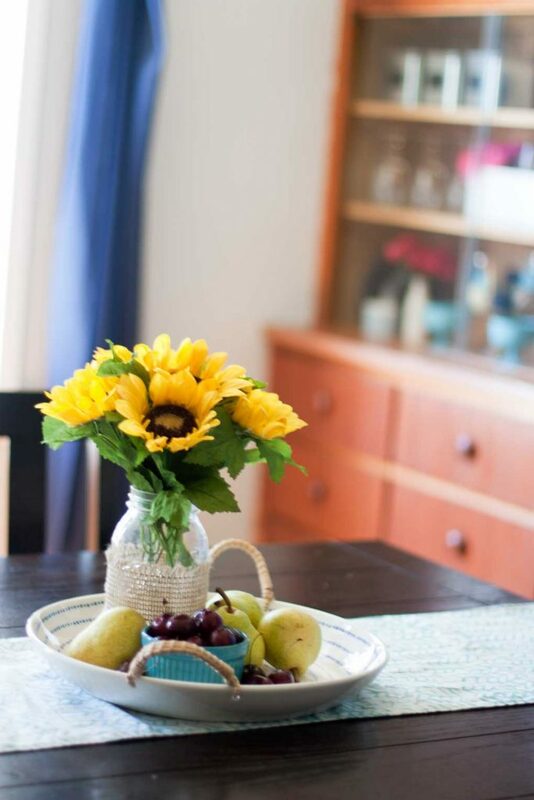 Heading into late summer and early fall, I chose to incorporate cheery sunflowers into this centerpiece. Sunflowers are such a happy, bright flower and really liven up the space. I used them a lot in decorating this summer, and I discovered how pretty the yellow sunflowers look next to my mostly blue decor. I think the sunflowers will transition nicely into fall. Our dining room table gets used for meals, but also as a place to play board games, make crafts and work on things like this very blog post. Since I often have projects sprawled across the table, it’s important that the centerpiece is easy to move out of the way. That’s why I like to use trays as the base. A tray grounds a group of decorative objects, and is easy to pick up and move out of the way when you need the entire table cleared off. To create a vignette centerpiece, group three to five items together. You want to use items that vary in height and size. 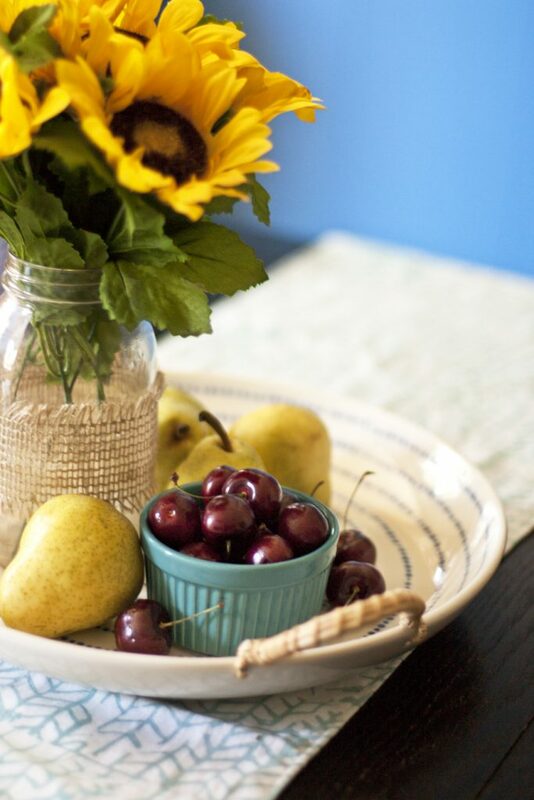 I used a mason jar of sunflowers as the tallest object in this vignette, and then I placed a small bowl of cherries and a few pears around the base of the mason jar. I love how the colors contrast with each other. As we get a little further into fall, I think I’ll replace the fruit with small white pumpkins. This diy centerpiece was extremely budget friendly! 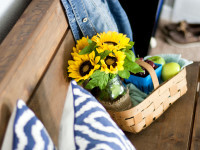 I used items I already had at home, plus the bouquet of sunflowers that I found at the thrift store. When you are “shopping” your home for decor to use in a centerpiece, don’t forget to check your kitchen. Food is fair game for decorating, especially for your dining table. 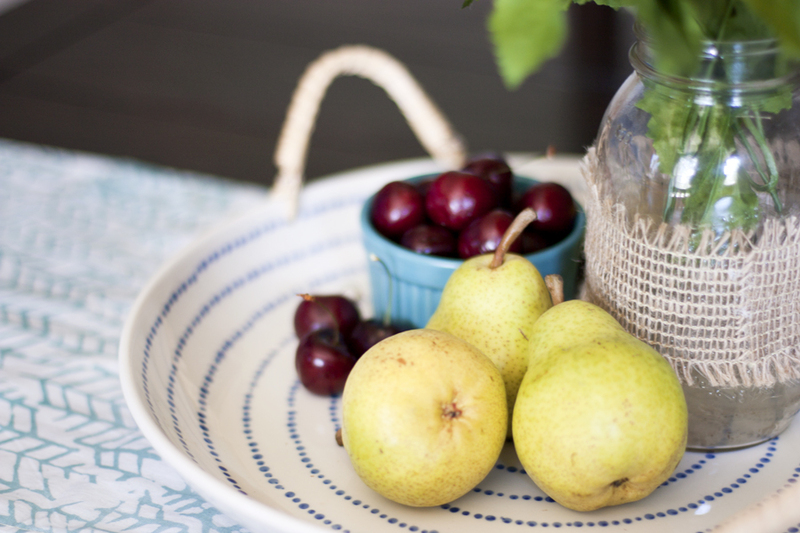 Those colorful cherries and pears might as well look pretty until we eat them! I may or may not have been known to buy things at the grocery store just because they would make pretty decor. There a reason I blog about home decor and not food! 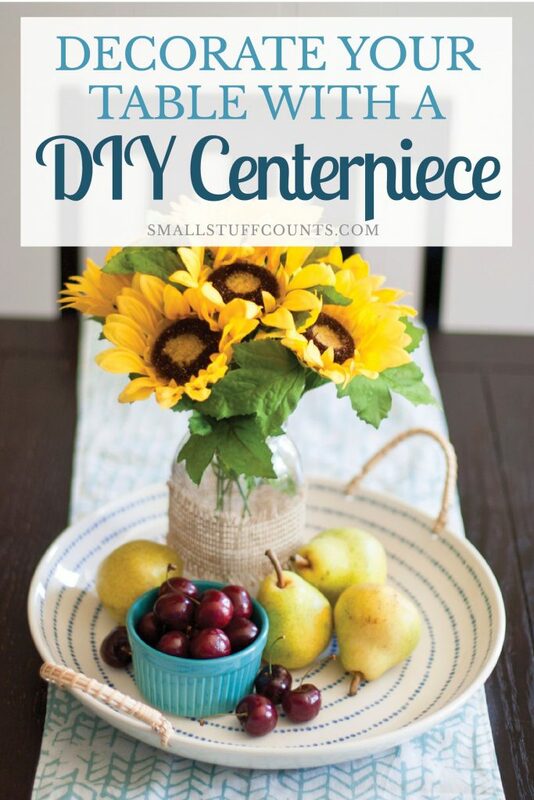 This diy centerpiece was super simple and inexpensive to create, and it adds cheer to our dining room. I used to think centerpieces were only for special occasions, but now I totally think your table should always be adorned in a simple centerpiece. They don’t have to be elaborate, just pretty! 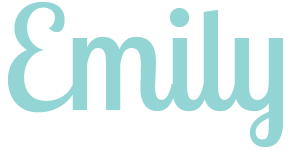 For more practical tips to create a space you love, check out the ebook Love Your Space. I love how Kathryn organized the book into 30 bite-sized, manageable decorating tips. It includes budget-friendly tips for decorating and styling, step by step instructions for unique DIY decor and organizing tips and tricks for each room in your home. Spend as little as 15 minutes a day to transform your home into a space you love! Thank you, Kathy! Your book is full of so many helpful tips!